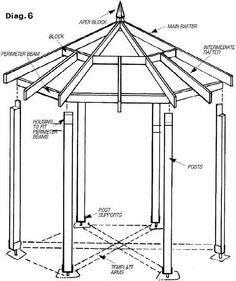 You'll find loads of inspiration to make your yard as inviting as your own living room when you browse through this variety of gazebo plans. 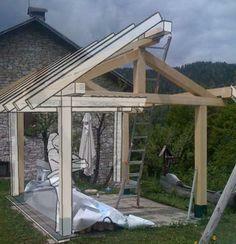 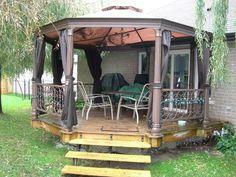 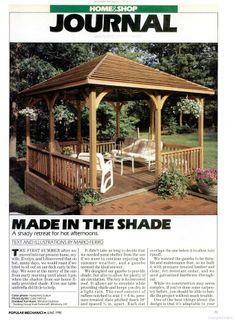 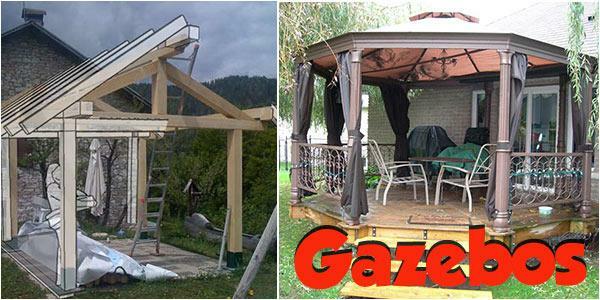 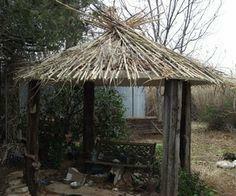 Create a warm and comfortable space to hang out or entertain with over 15 free DIY gazebo plans you can build yourself. 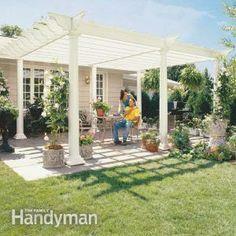 Whether you're planning a sun-filtered pergola to support trailing vines and flowers or a cozy covered gazebo that keeps out the rain, you're sure to find a building plan that fits your lifestyle and pocketbook. 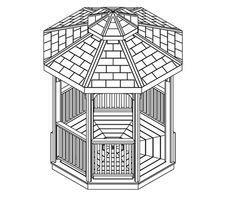 You'll find plans for raised gazebos, pergolas built on your existing deck or patio, and gazebos made from reclaimed and upcycled materials. 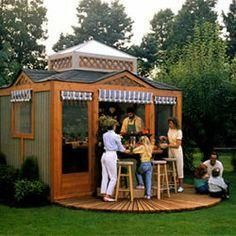 You'll get blueprints, how-to videos and detailed constructions plans for a summer place that will be the envy of your neighborhood.